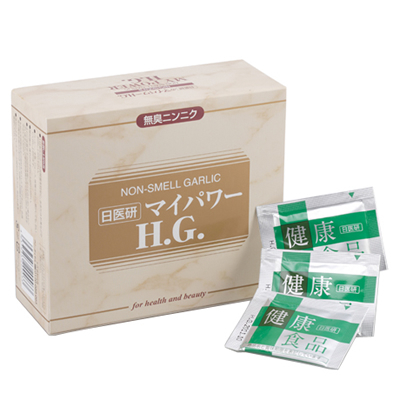 Nippon Medical Research Institute for healthy food aimed to “to make a supplement from high purity garlic”, planned to manufacture the product called “My Power”. Garlic has been recognized as a health food around the world since ancient times, but its medicinal properties were shrouded in mystery. In 1936, a Japanese scientist discovered an active ingredient of garlic named Scordinin, Using this extract the Medical Research Institute was successful in commercialization of high concentrated powder of garlic called Scordinin which is possible to take as a supplement. It helps to smoothen blood flow and not only prevent but cure some diseases. The difference of odorless garlic powder from that of fresh, mashed, boiled and dried garlic is that the product is obtained by extracting the active ingredient from garlic. In the United States National Cancer Research Institute, garlic is the No1 food for cancer prevention. It has been said to reduce the risk of gastric cancer by more than 50%, and the risk of colon cancer by 30%. The effects of odorless garlic: suppressing the growth of cancer cells, cold, fatigue, listlessness, boost the immune system (cerebral infarction, myocardial infarction, arteriosclerosis, poor circulation, anemia), sterilization and enzymatic action, smoothing blood flow and other related diseases. Vitamin A – can prevent immune system from a weakening, helps with the function of skin or mucous membranes. Vitamin B1 – in cooperation with enzyme changes carbohydrates to the energy. Vitamin B2 – effects the metabolism of all nutrients ••• proteins, lipids, and carbohydrates. Helps to create new skin, hair, nails, and muscles. Vitamin C – makes the collagen that is between the cells and blood vessels. Keeps preventing from oxidation and lipid peroxide. Natural oligosaccharides can be obtained by separation and purification of sugar beet. Raffinose reaches the large intestine without being digested and is absorbed by the digestive enzymes in the small intestine and stomach to become a growth source of bifid bacteria. Bifid bacteria is the good bacteria that destroys bad bacteria called Clostridium perfringens. All Carbohydrate are converted to glucose and eventually become (immunity and disease resistance) energy source. A nutrient that is absolutely necessary for humans to live. Brain, nervous tissue, red blood cells is primary supported by only glucose energy. Trehalose has protective action against freezing and drying of protein and many other excellent features. Its use is expected in various fields such as processed food, applications pharmaceuticals including cosmetics. It will improve liver function. Research is progressing even now, because there are a lot of uses of curcumin, which is the main component of turmeric. 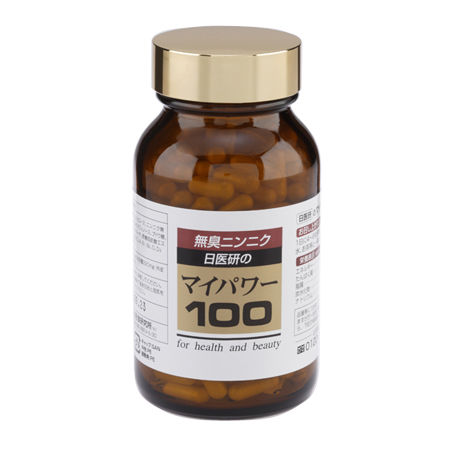 It has been found that it is useful for hypercholesterolemia to promote bile acid secretion and antioxidant action. Erythritol is a type of sugar alcohol, a natural carbohydrate that is contained in fermented foods such as wine, sake, soy sauce, miso paste, mushrooms and white grape. It does not cause tooth decay, does not affect the sugar metabolism, with a small laxative effect. It is a “food for the health-conscious (sugar substitute sweetener)” with great physiological features. A kind of disaccharide of two linked glucose components called maltose (also maltose). Sweet, freely soluble in water, it is used in many starch syrups. It is an important source of energy for the body, it is also used as a medicine for IV drips for people who can’t eat food for nourishment. It took many years to create this product, using the experience of Western medicine　based on “scientific evidence and confirmation”, and Eastern medicine, founded on “the ancient traditions of healing power and wisdom of the ancestors.” This supplement represents an ideal composition of herbal elements that increase immunity and vitality. It is recommended as an additional means of dealing with serious diseases, long-lasting symptoms of disease without noticeable improvements which are difficult to treat and sexual dysfunction, etc. 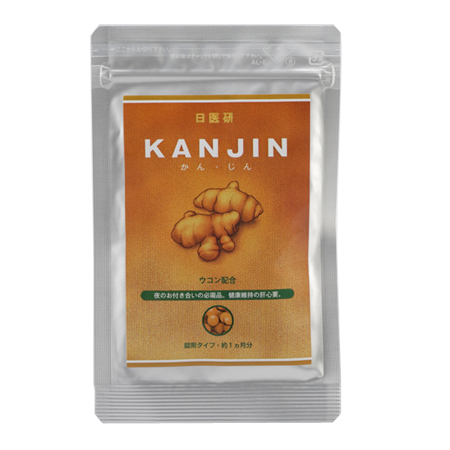 Cordyceps, Angelica archangelica root, Hericium erinaceus (yamabushitake mushroom), ginger and garlic extract. Since ancient times valued as a noble toning and rejuvenating agent. This kind of mushroom grows, absorbing the energy of plants and animal protein, insects, absorbes carbon dioxide and releases oxygen. There are about 400 species of Cordyceps. Cordyceps species are sources of biochemicals with interesting biological and pharmacological properties, like cordycepin. Nippon Medical Research Institute for healthy food uses a domestically produced species of Cordyceps for production. Due to special breeding and processing technology, the peculiar fungi smell has been removed. 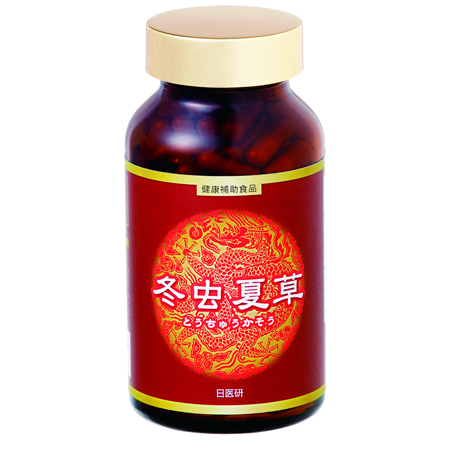 Strengthened immune system, improvement to liver function and cardio system, lower blood pressure, some anticancer activity, beneficial effects on diabetes, antioxidant, anti-stress, anti-aging, an anti-depressant effect, prevention of women diseases, increased sexual activity. Recommended to those with weak lungs, abundant cough, dizziness, memory weakness, fatigue, frequent colds, lack of appetite, profuse sweating during sleep, bad complexion, white tongue, anemia, tinnitus, teeth and gums sore, insomnia, dry mouth, coldness in hands and feet, back and knee pain, often toilet in the night, weakening of sexual function, impotence…. Some polysaccharide components and cordycepin, which have some anticancer activity in preliminary in vitro and animal studies. Facilitated treatment by the use of Cordyceps may reduce the side effects of anticancer drugs and radiation therapy, improving overall health and increase comfort of recovery. This product was developed focusing on the importance of liver and kidney function. Considering the amount of Curcumin, we formulated an enzymatic decomposition product effective on the liver. Turmeric Works to strengthen the liver. In Japan 3 different types of turmeric is cultivated: spring turmeric, autumn turmeric and purple turmeric. The Autumn turmeric contains the most “curcumin” to enhance liver function. Significantly promotes a strong detoxification and the secretion of bile, helping to prevent and improve liver failure, will strengthen the liver. Active ingredient of milk thistle “silymarin” prompts the secretion of bile enhancing liver function. If taken before and after drinking alcohol it can protect the stomach and liver and also support the recovery of alcohol intoxication and the fatigue of hangovers. Boosts the immune system and fat metabolism, make muscles stronger. Also strengthens liver function and has a detoxification effect. Stimulates blood flow, causes sweating and diuretic. Improves the body fluid metabolism. After drinking a certain amount of alcohol there is a high concentration of alcohol in the blood which gradually decreases. However despite this there are unpleasant symptoms even the next morning that is called a hangover. Upon the intake of a large amount of alcohol, the liver will struggle to process it all and excess Acetaldehyde collects inside. Fatigue becomes worse when the amount of ethanol not recycled exceeds that which the liver can tolerate. Curcumin, contained within turmeric root accelerates the action of processing alcohol. It is considered to promote the decomposition of Acetaldehyde and accelerate its transformation into acetic acid up to 50% faster. Curcumin can actively stimulate release of bile, a digestive liquid emitted from the liver. If the function of the liver decreases, emmisiion of bile also decreases and the load on a liver increases. Curcumin promotes secretion of bile and considerably facilitates the load on the liver. 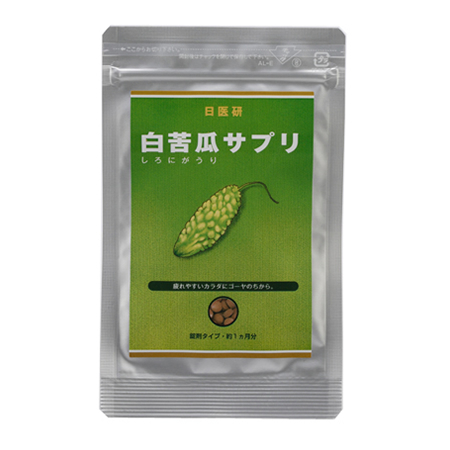 It is effective in protection of a weakened liver and restoration of its function. Curcumin and turmeric take the fatigue in hangovers away! Recommended to people who like drinking! 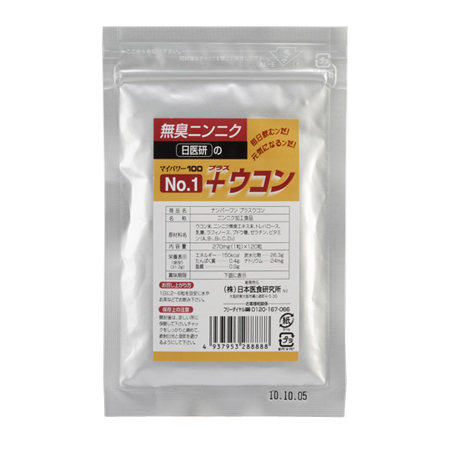 Nippon Medical Research Institute for healthy food was successful in commercialization of high concentrated powder of an active ingredient called Charantin. Charantin is a chemical substance obtained from the Asian bitter melon (Momordica charantia). Concentrated by more than 10% which is 20 times that of other companies’ similar products. 3 tablets contain the same quantity of “charantin” as there is in 15 fruits of green bitter melon. White Momordica charantia – is a tropical edible white color fruit, which is extremely bitter. Its many varieties differ substantially in shape and bitterness. The white bitter melon, rather than the traditional green, has found “charantin” and “momordicin” in abundance – high effective substances in the fight against sugar. “Charantin” will prompt the secretion of insulin. In addition, it is said that “momordicin” helps to adjust the blood sugar. A number of clinical tests are conducted overseas for these actions and it is has been reported to be effective in diabetes prevention. Salacia reticulata is an indigenous plant grown in dry zone forests in Sri Lanka. Known as kothala himbutu, it is a herbal plant used for the treatment of diabetes in ayurvedic medicine. It was recognized by WHO (World Health Organization) as an active ingredient which inhibits the action of enzymes that dissolve sugar and prevents sugar absorption from the small intestine.